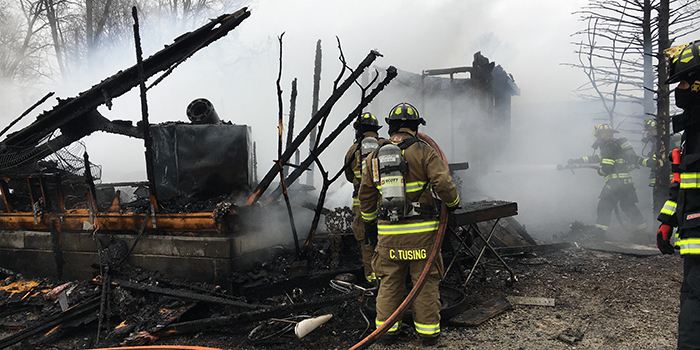 SYRACUSE — Shortly after 2 p.m. today, Feb. 7, the Kosciusko County 911 Communications Center received several reports of a residential fire and explosion at 5987 East CR 800N, Syracuse. 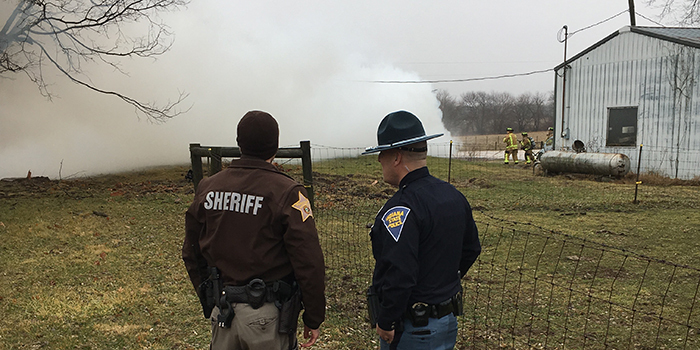 Turkey Creek Fire Territory, North Webster Fire Department, Kosciusko County Sheriff’s Office and Indiana State Police personnel were dispatched to the scene. Initial arriving units found a single story home with heavy fire showing. 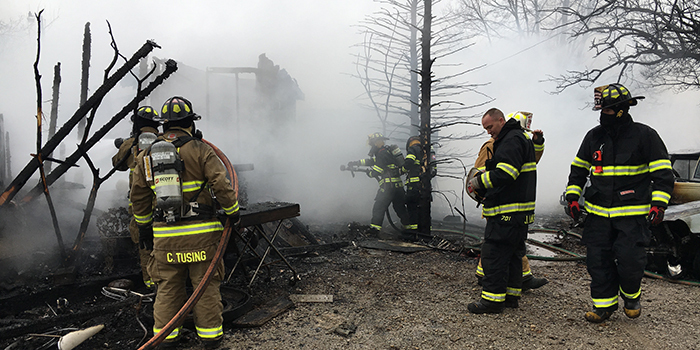 Additional assistance was requested from the Plain Township and Milford Fire Departments and the Warsaw-Wayne Fire Territory. It was determined that the home was unoccupied, at the time of the fire. Fire crews aggressively attacked the fire, which was intensified by heavy wind conditions. The cause of the fire has yet to be determined and is still under investigation. Volunteers from The American Red Cross provided assistance at the scene.